Read about our journey so far providing organic, local, free range and sustainable food to our cafe. We did it! 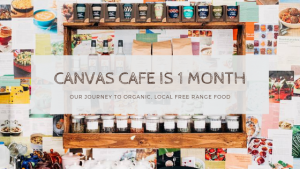 Canvas Café is now 1 month old! It has been a month since we opened our canvas doors and what a great month it has been. We have certainly found what we were hoping for, we have enjoyed a lot of great food and some great company, while not forgetting to keep a focus on finding organic, free range, local and sustainable food and drink suppliers. You might think we chose the wrong time of year to open a café with no solid walls but the café has proven to be a very cosy escape on some of the cold and rainy days. A few people have expressed their surprise at how warm the café is! After spreading the word of our new café we were thrilled to have such a range of people stop by for a fresh coffee, loose leaf tea or bite to eat! Our locally sourced Well Roasted coffee has been a particular hit and we have loved meeting so many new people, and a few furry friends too. 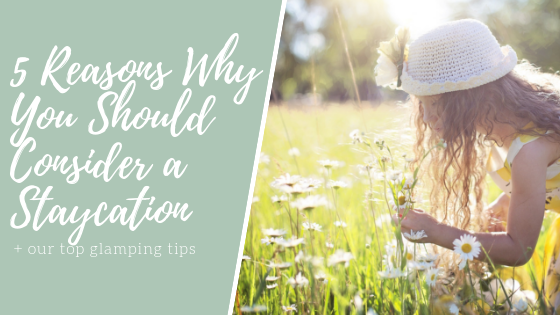 Our mini tent in a tent has proven very popular with our smaller guests, and some not-so-small guests as well, as we have had a few adults squeezing themselves into the tipi as well! Our breakfast ciabattas have also been flying out of the door! We have been delighted to find that everyone loves the local produce used in the breakfast ciabattas, we get our free range eggs from a nearby village and the bacon and sausage comes from the on-site Waterloo Cottage Farmshop. We’ve also enjoyed being able to use the fresh produce from the community garden in our soups and salads. We’ve had a great time hosting a private dinner event, and a candle making session, we are looking forward to doing more of these in the future. Keep your eyes peeled for upcoming events on our Facebook page. This month we will be getting festive and celebrating Christmas with gingerbread tent making (because we love tents!). We will be baking gingerbread pieces to order in our Canvas Café kitchen, ready to be assembled and decorated by you! You can find more information about our gingerbread tent making on our Facebook event, and book in for a pack by sending us a Facebook message letting us know when you would like to come. We are also hosting a local Annual Ramble. We’ll meet in the Canvas Café, then head out for a relaxed walk that ends back to the Canvas Café in time for a warming bowl of soup and a steaming hot coffee afterwards, all in aid of raising money for our local Jubilee Foodbank. A great mix of everything we love, meeting new people, getting out for a walk with our four-legged friends and feeding with wholesome, local and organic food. You can find out more about the Annual Ramble and book a spot here. 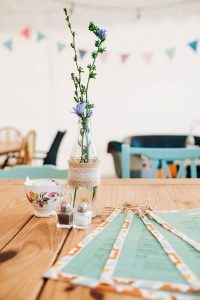 It has been lovely to get great feedback from so many of our customers and as always, we welcome your suggestions for our menu, please feel free to get in touch with any personal café favourites or recipes. 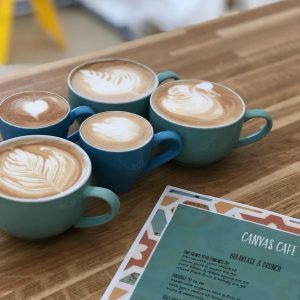 We are excited to see what the new year will bring for the Canvas Café and hope more of our plans and dreams will come to life in 2019. Thank you to everyone who has paid a visit and made the past month so exciting. We look forward to welcoming more of you in the near future and creating more organic, free Range, local and sustainable food in the East Midlands. © 2018 Country Bumpkin Yurts. All Rights Reserved.